Nothing spells casual comfort like a t-shirt, and soccerloco is home to a wide range of t-shirts at discounted prices. We offer clearance tees featuring your favorite international clubs and teams from some of the best soccer brands in the business, including Nike, adidas, Puma, and Under Armour. 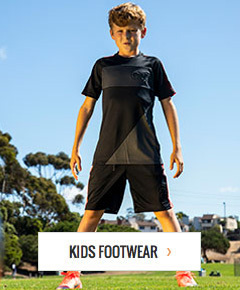 soccerloco is your one-stop-shop for discount soccer shirts, equipment, cleats and more. With our huge selection and awesome prices, you’ll have no problem finding exactly what you want while staying within your budget. We offer flat rate shipping on all qualifying orders, leaving you more money to spend on soccer gear. We also make returns and exchanges a cinch with our fast, hassle-free returns process. Shop soccerloco’s clearance section now to see which of our discounted soccer tees matches your style.